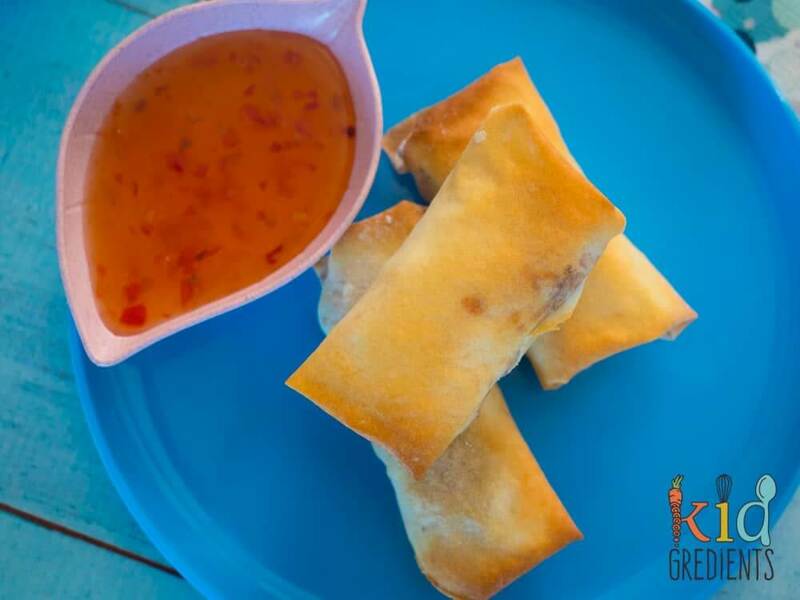 I love spring rolls, but I don’t love the grease that comes with them being deep fried. 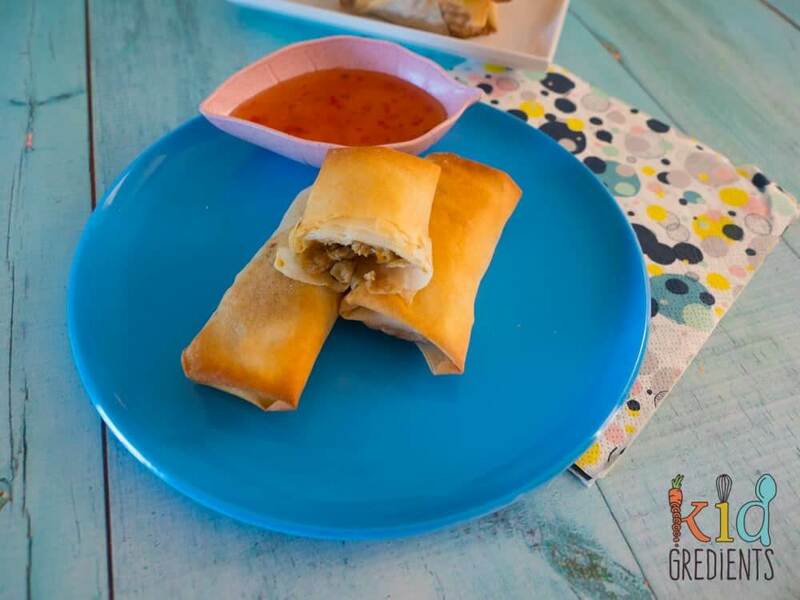 So I wanted to make some chicken and veggie baked spring rolls that the kids would love with all the flavour and crunch, but without the grease. And they couldn’t be yummier! 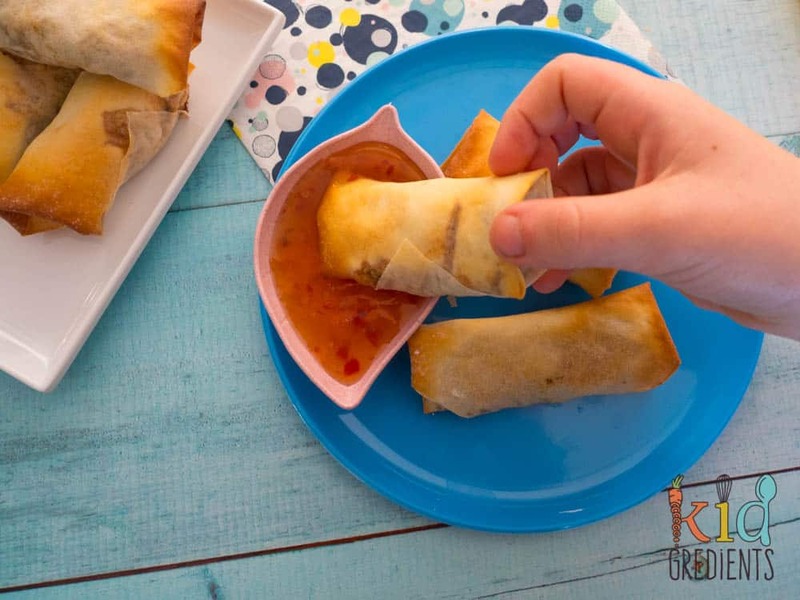 I’ve been making spring rolls for a long time, there are a few varieties already on my website, these sweet potato ones, and these teeny tiny ones that use wonton wrappers to keep them small. Whenever we go out for Thai or Chinese, I always order spring rolls. Many years ago, I had spring rolls in Hawaii, in China Town on Oahu. They were served with mint leaves and lettuce leaves. I looked at them confused, and the owner explained that you add a mint leaf, then wrap in the lettuce before dipping in the sauce. It was a taste sensation! If you’re eating these at home and want to make the am a bit more special, I really recommend trying this way of eating them. It makes them taste a bit fresher and less fried too! You can change up the veggies with these spring rolls, I have made them with frozen peas and corn, cabbage, I’ve even added noodles (vermicelli style). The mix that’s in the recipe will make you exactly 20 large spring rolls spring rolls, so bear in mind if you add to the veggies, you might end up with extra! If you completely chill the filling before rolling, they will work better as if the mixture is even slightly warn it will dissolve the spring roll wrappers and they will fall apart. I use water to seal the edges, and not a lot is needed. You can either use a pastry brush and paint it on, or just dip your finger in it and smear it along the edge. 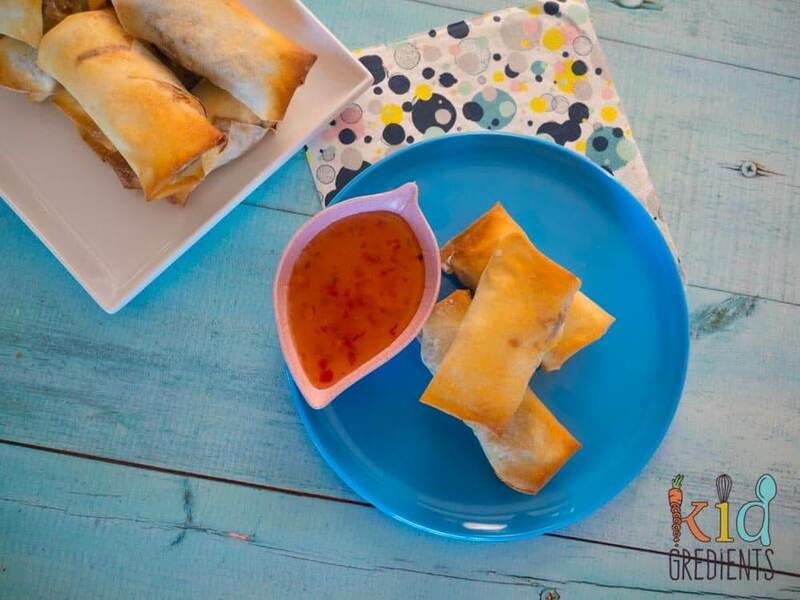 These chicken and veggie baked spring rolls are also delicious cold and in the lunchbox, but it really depends on your child, as some kids won’t eat things cold that they like hot. I am very fortunate in that my kids don’t mind them cold! 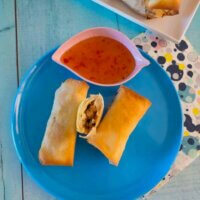 These delicious chicken and veggie baked spring rolls are healthier because they are baked not fried! 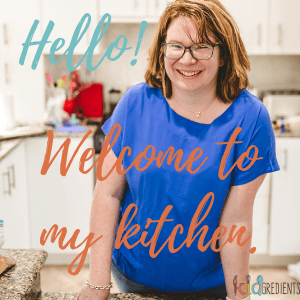 Perfect as an easy dinner and quick to make! Heat 2 tbsps of the oil in a frypan. Combine the chicken mince, soy sauce and chinese 5 spice in a large bowl. Cook the mince mix over high heat for 5 minutes. Remove to a bowl. Add the remaining oil, and the spring onions. Cook until soft. Add the grated carrot, mushrooms and zucchini to the fry pan, cook 3 minutes. Add the chicken mince back to the frypan with the oyster sauce and cook, stirring until well combined. 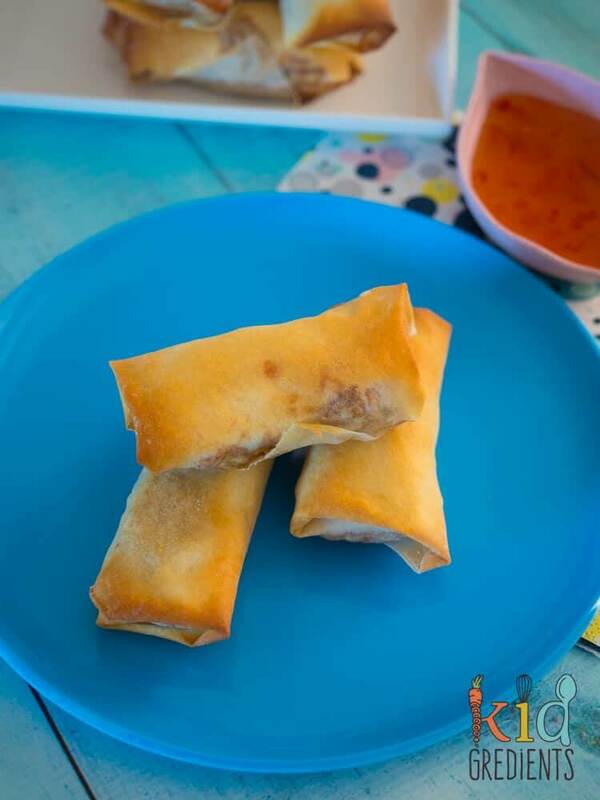 Roll the spring rolls into the wrappers and place on a lined oven tray. Brush lightly with oil and bake at 220 for 15-20 minutes or until golden. Can you tell me which spring roll papers you buy? I buy these: https://www.woolworths.com.au/shop/productdetails/40920/trangs-pastry-spring-roll-sheets Hope that helps!